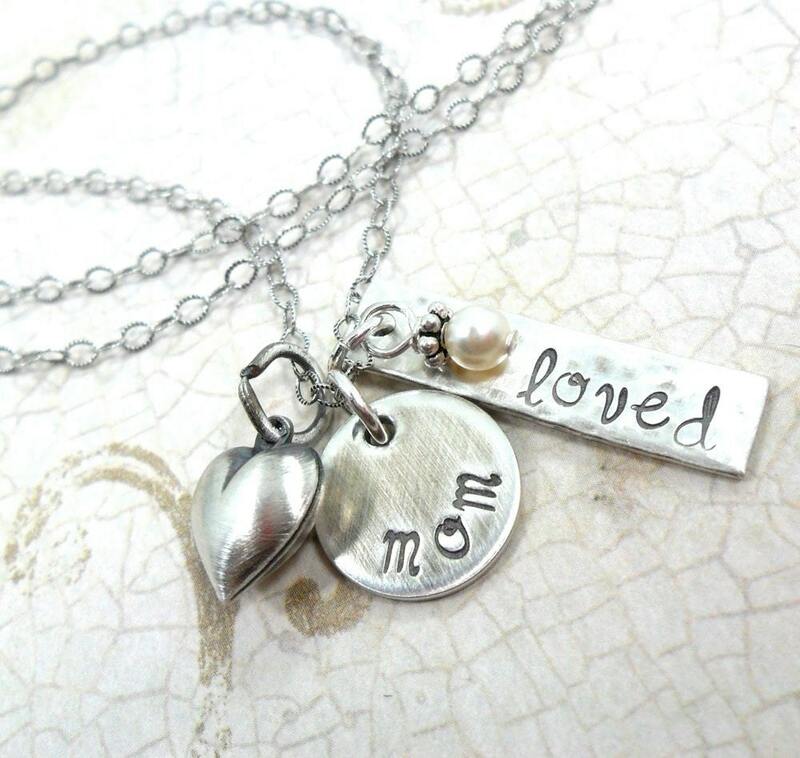 This lovely oxidized charm necklace has a very vintage, rustic vibe. 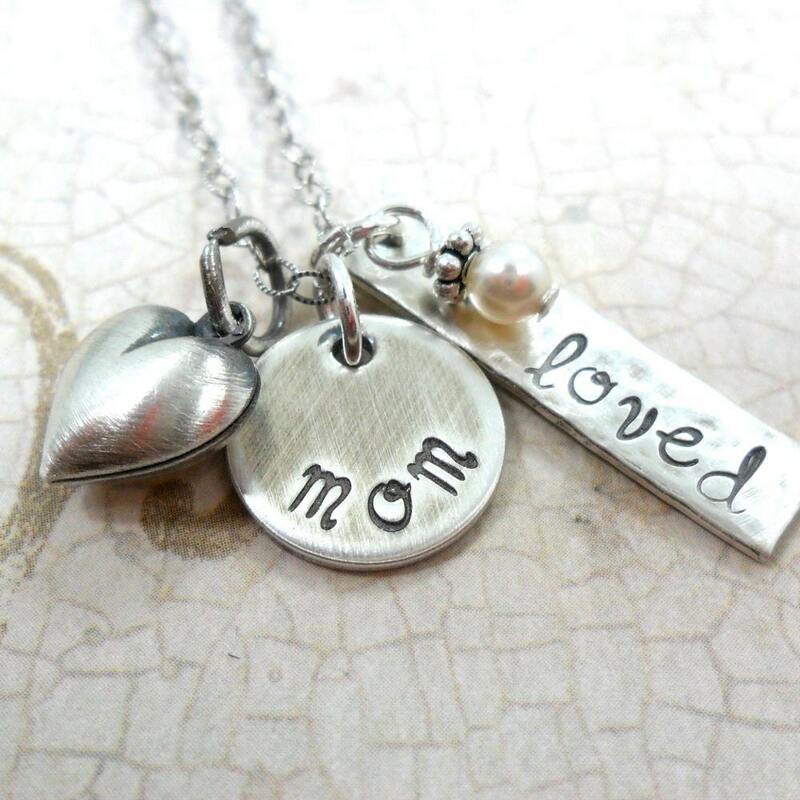 It's beautiful brushed, hammered finish is perfect for everyday wear. 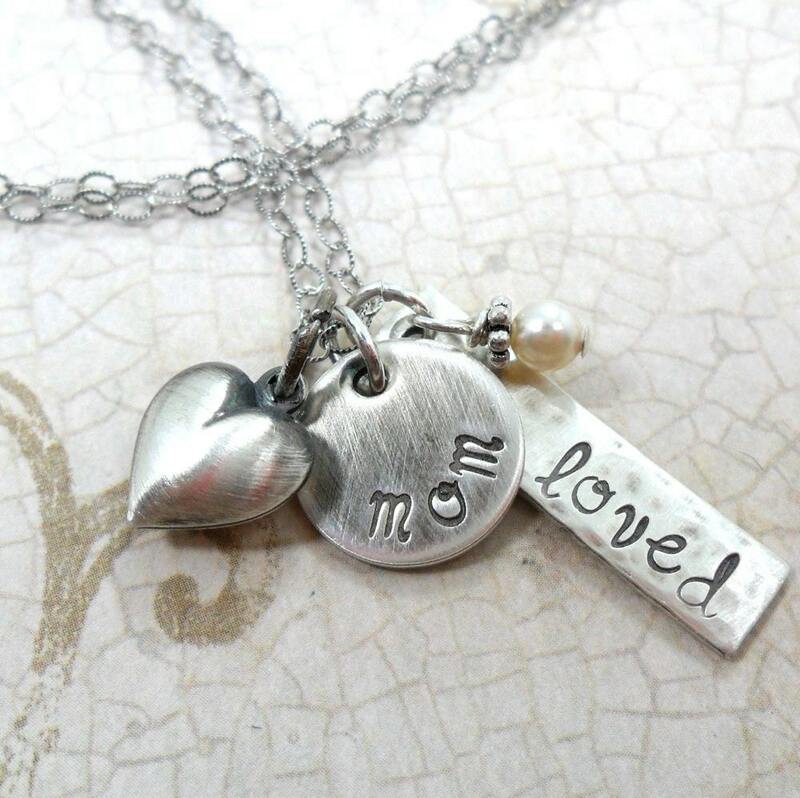 It is the perfect gift for mother's day! 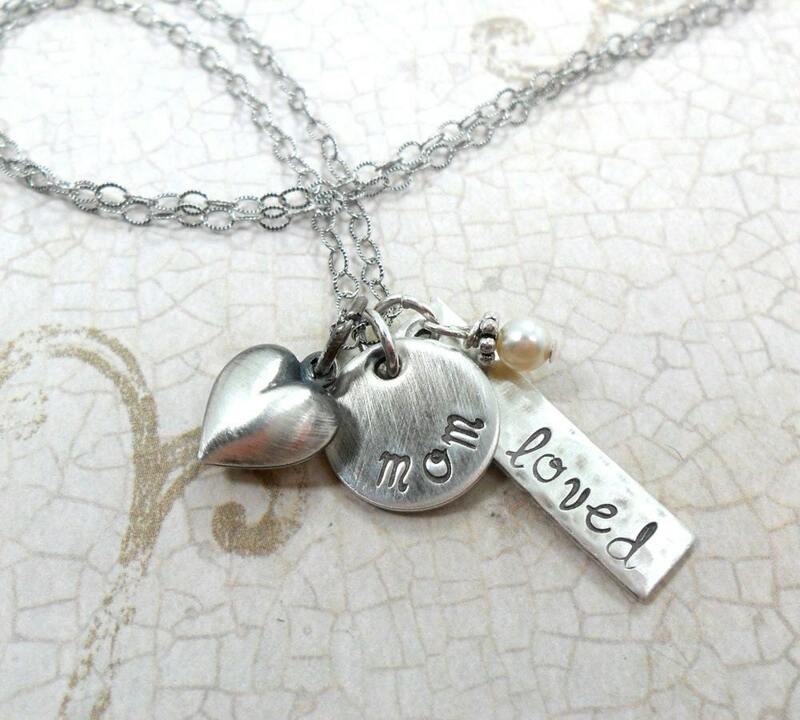 This lovely charm necklace is composed of a thick, 18 gauge sterling silver rectangle pendant measuring 1" x 1/4", hand stamped with the word "loved" in my lowercase Modern Script font, a 1/2" sterling silver disc, hand stamped with the word "mom," a sterling silver puffy heart charm and a Swarovski cream pearl accent. The charms are strung from a delicate, texturized & oxidized cable chain--available in your choice of 16", 18" or 20" length. Please specify your preferred chain length in the note space at purchase. Would you like to add another custom component? 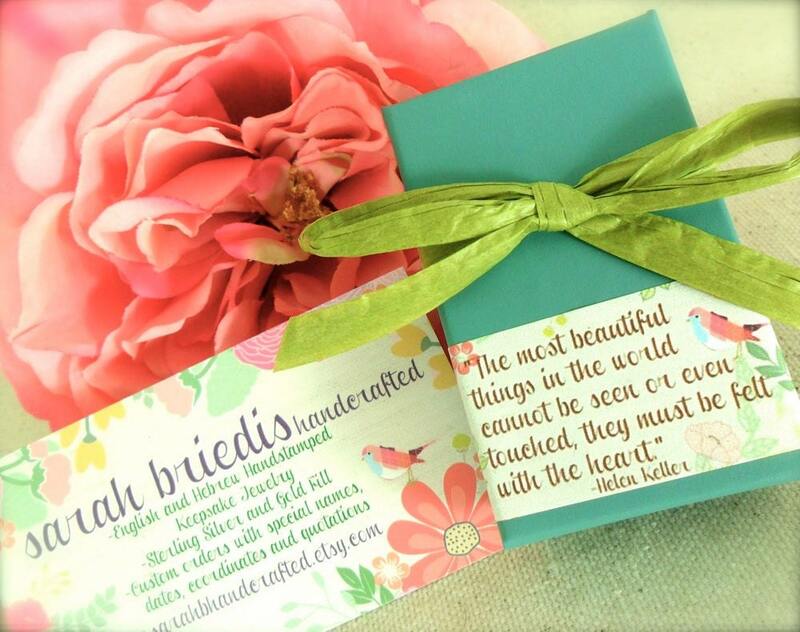 Contact me and we'll create the perfect piece for you!